Isaac Mizrahi's Mushroom Truffle Spaghetti, Carolina Herrera's Pommes Toupinel… Food can be fashionable too. 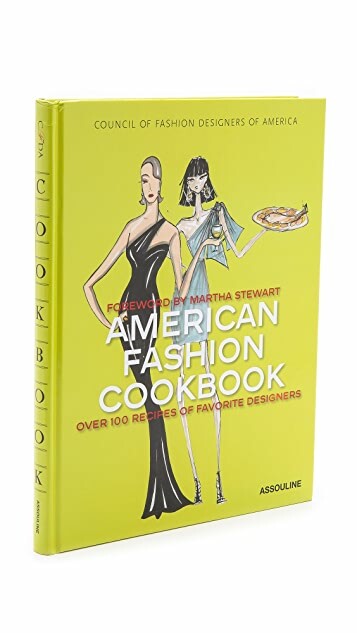 America's Fashion cookbook has over 100 recipes, memories, and tips from your favorite designers. 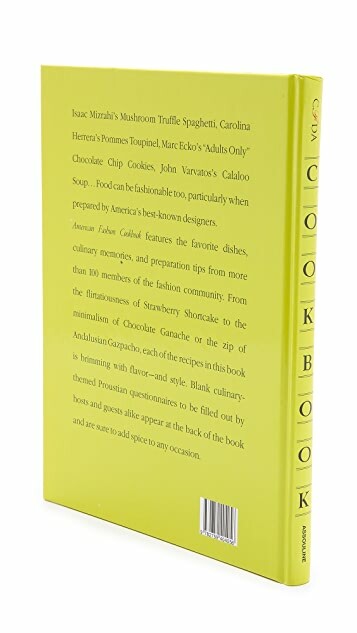 Blank culinary-themed Proustian questionnaires in the back of the book. Foreword by Martha Stewart. 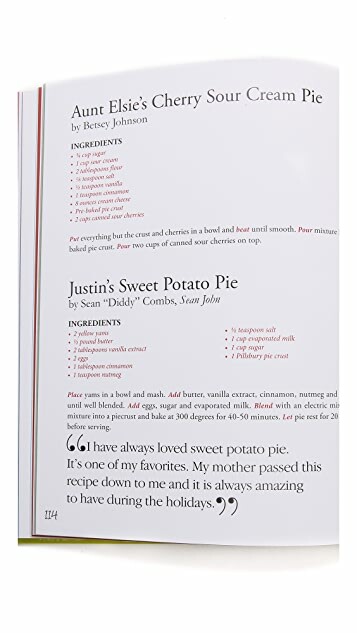 11" x 8.75" x 3/4"
I love cooking so was extremely excited to get this book. 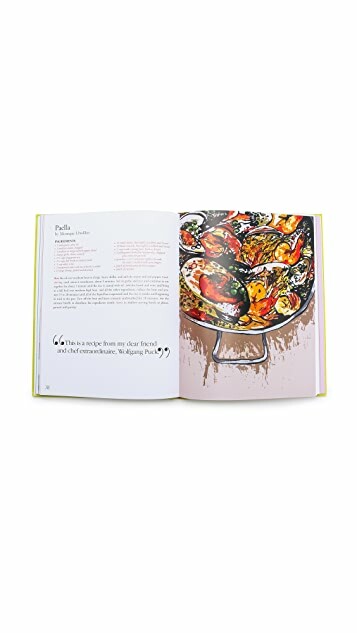 So many delicious recipes with lots of great commentary from the designers themselves. Also makes a chic little addition to my coffee table book stack! My friend loves fashion and owns a cafe, what better gift could you give a fashionable foody!